Posted on January 31, 2018 at 12:03 pm. A public task force has been created in Nevada to improve casino emergency response plans after an investigation highlighted flaws in the current system. Following the Route 91 massacre, which took place on October 1 outside of Mandalay Bay, Las Vegas, state officials have created a task force led by chief of the Nevada Division of Emergency Management (NDEM), Caleb Cage. 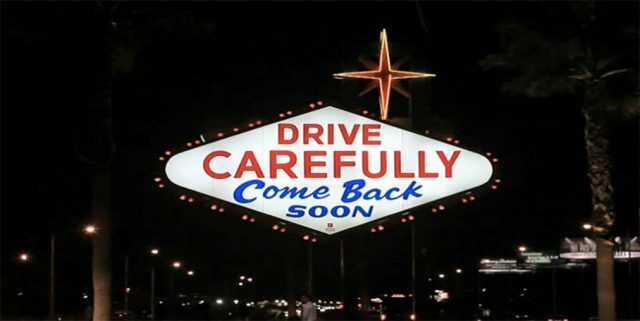 The task force, made up of a Nevada Gaming Control Board official, casino security executives and Clark County Emergency members, is a result of Las Vegas Review-Journal’s investigation revealing American casinos in Nevada had not reviewed their emergency plans for several years. The plans deal with how a casino should respond in an emergency, such as a terrorist attack or a natural disaster. The report found that several casinos on the Strip, including Mandalay Bay, hadn’t updated emergency plans since as far back as 2008. Current law, enforced after the September 11, 2001, terrorist attack, requires land-based casinos to file emergency plans, but the Review-Journal found state officials failed to prompt operators to revise their policies. The law does not enforce the operators to update plans, however. Regardless of the casinos’ failings to revise emergency plans, there isn’t any evidence to suggest that updated plans impacted the tragic events at Mandalay Bay, where Stephen Paddock fired at thousands of festival goers from the 32nd-floor hotel room, killing 57 people and injuring more than 500. With more than two years’ experience leading the NDEM, Mr Cage will lead the overhaul process, placing significance on ensuring casino plans are useful and authorities can handle the increasing number of terrorist threats. Members will meet for several months to create a centralised emergency response plan all casinos can rely on, and they will look at strategies to improve internal communications for those who execute the policies. “We want to use the network established by this task force to make sure we are identifying the specific points of contact,” Mr Cage said. He has also revealed plans to improve the current law, which recommends casinos to update their emergency strategies without enforcing a strict schedule. He said it would include tasking the NDEM with the responsibility of enforcing the law, requiring operators to submit updated response plans annually. Nevada Governor Brian Sandavol told the Las Vegas media outlet that revising emergency plans is a priority for him given the Mandalay Bay massacre, stating that it’s something all casino operators need to do. After the Review-Journal published its investigation, 88 resorts received letters to update emergency plans, and as of Monday, all except four reportedly replied. The Gaming Control Board will deal with the four that failed to respond, which could result in penalties if they do not provide an update on their emergency plans.